After a long, awkward life as a botched social media service, Google+ is finally going the way of all flesh. First came the initial social media bandwagon hop which included a series of fast-failing platforms: Orkut, Wave, Buzz, Google Health, Google Powermeter, and more. Then, the mass automatic-signups and re-branding to “a social layer across all of Google’s services” confused (and angered) a lot of users. Google enraged online privacy advocates for making real names and genders mandatory for their accounts, and connecting Google+ profiles with ranking YouTube comments. 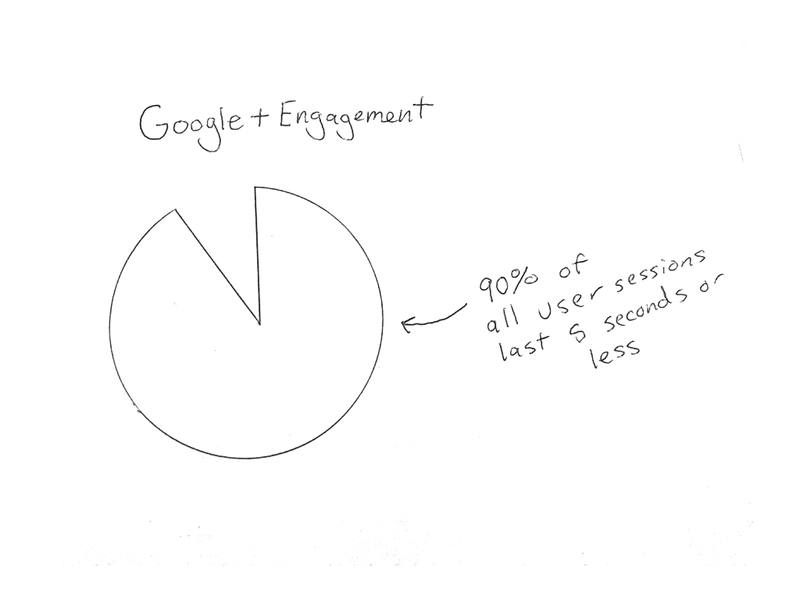 Recently, Google announced incredibly low user engagement rates: 90% of all user sessions on Google plus lasted 5 seconds or less. By 2016, 91% of Google Plus accounts were completely blank and likely created to use other Google services. The nail in the coffin: In a year of massive data breaches, a bug in Google+ made more than 500,000 Google+ accounts vulnerable to compromise. They also neglected to notify users of this security breach. Whoops! Google’s bold attempt to challenge Facebook has amounted to an eight-year public beat-down. 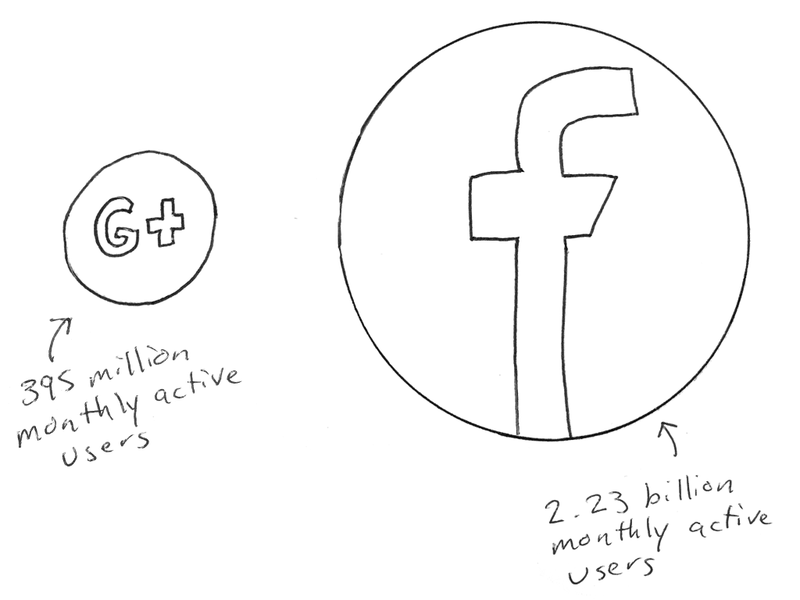 It is worth noting that Google+ has a small, extremely loyal group of active users. These users are heartbroken, and looking for other communities for discourse. Google+ was never just a social media platform. From the beginning, Google+ was a part of the “G Suite,” which includes Gmail, Calendar, Hangouts, Drive, Sheets, Slides, Forms, and Google My Business. As you can imagine, the G Suite has seen some drastic changes since the 2006 launch. Services are always rising and falling in tech, but ever evolving. It’s more important than ever to be proactive about your web security. Not just for the sake of your personal information, but your friends, family, colleagues, and customers. Google discovered the security breach through an internal audit, known as Project Strobe. The bug exposed hundreds of thousands of users to vulnerabilities from March 2015 through March 2018, but Google’s Ben Smith says there is no evidence of foul play. Despite his claim, online security is a top priority. If your website lacks SSL encryption, you should probably get on that. If you suspect your information has been compromised, change your passwords. Even though Google+’s engagement is much lower than Facebook’s, there are still active members on Google+. They are small in numbers, but incredibly loyal to the platform. If you’ve been contributing content to your page, let your audience know you’ll be moving your posts to a different online community, like Medium, Reddit, Twitter, Facebook, or even Instagram. Plus, with all the new features to your Google My Business listing, including the ability to create and share posts, list products, and services, post photos, and answer customer questions, you might think about transferring your most popular Google+ business page content there. Make sure you redirect or remove any Google+ social buttons, or links to your Google+ page on your site, and make sure to share where you will be posting your new content. If your audience on Google+ has to hunt down your other social media communities to subscribe or follow, there’s a good chance you’ll lose them. The entire SEO industry keeps their eyes glued to Google’s every move, and for good reason. It’s in every business owner’s best interest to stay ahead of what the search giant is up to. 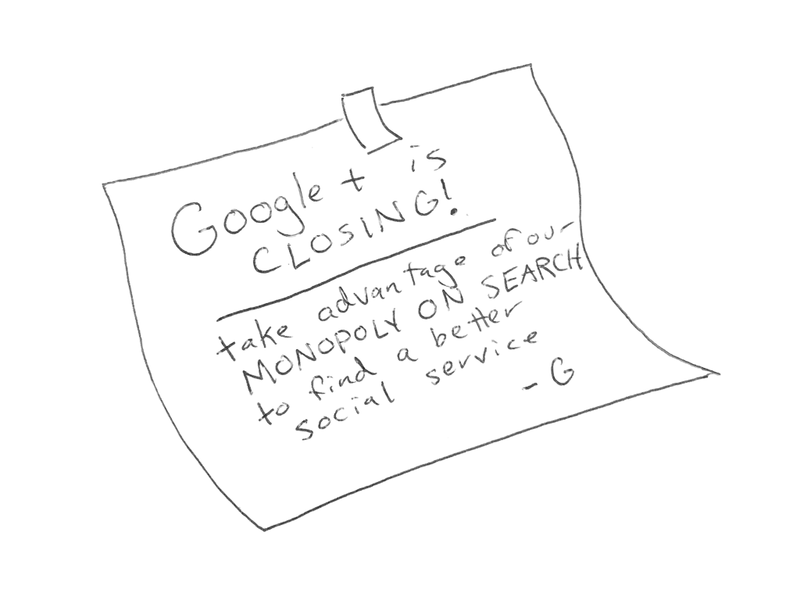 In the next few months, there is a good chance Google will hint at another social community to replace Google+. Google has been developing and testing more and more products that encourage people to stay on Google rather than venture to other platforms, including social media. Therefore it stands to reason that they’ll try another type of social media community. Google+ isn’t completely dead. Only the consumer version of Google+ is going away in August 2019. Google is actually transforming the platform into Google+ Enterprise. It’s part of their G Suite business solution and is more of an interoffice communication tool than a social media platform. That’s so Google can compete with other business chat tools like Slack, Facebook’s Workspace, and Microsoft’s Teams. 2. If you’re active on Google+, divert traffic to other communities. 3. Remove Google+ buttons from your website. If you were among the few businesses and people who found your niche on Google+, there are still plenty of other online communities and platforms where you can connect with customers and grow your business. Maybe you’ve discovered some already. 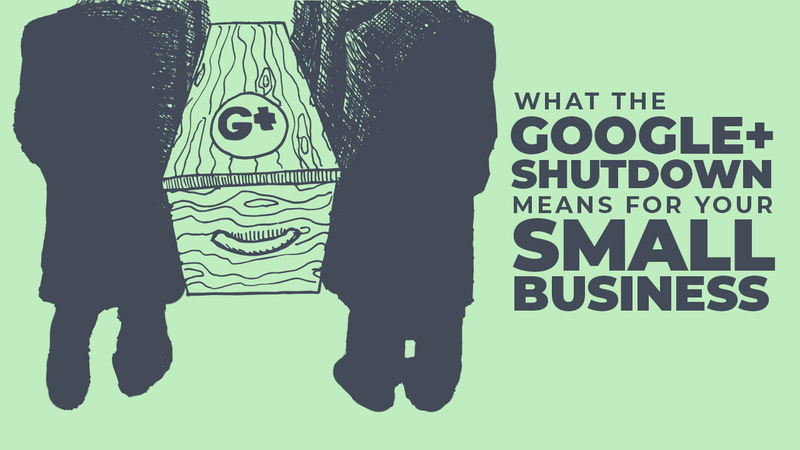 What do you think about Google+, the Google data breach, and Google’s decision to shut down Google+? Let us know in the comments below.